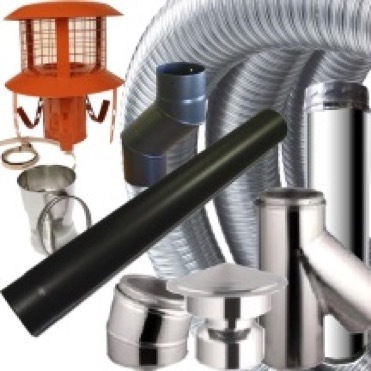 Do you need any flue? The Mazona Rocky is arguably the best value multi-fuel stove available right now. This model is now DEFRA Approved, suitable for smokeless areas in the UK. 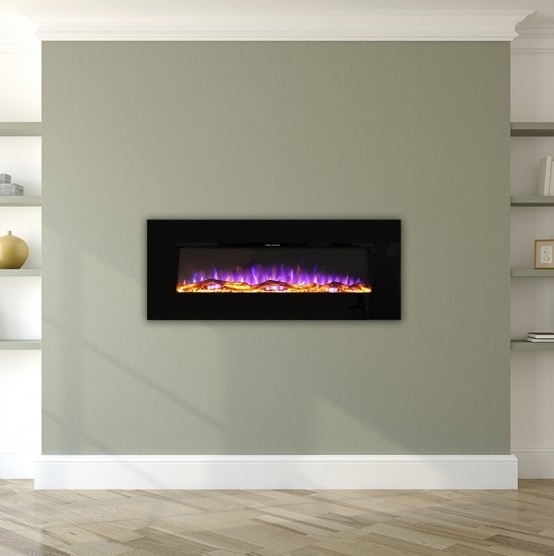 The 6 kW heat output will create a cosy environment in your living room. That's alot of warmth for just over £200 and there are even more savings to be made once the stove is in use. You get peace of mind as well as a snug home thanks to the 5 year stove body warranty. - Traditional stove design details. - Styled brass knobs and a robust brass door hinge bar. - We stock a full range of spares for the Rocky stove. Jeff Phillips. Read more reviews. I can confirm the Mazona Rocky stove is Smoke Exempt / DEFRA Approved and can be used in any of the smokeless zones throughout the UK. Minimum 12mm thickness hearth required for this stove. Is this stove suitable for a 12mm hearth? Yes, suitable for a 12mm hearth. Where is is stove manufactured? Chinese manufactured (CE Approved; tested and certified). Where is the stove made? Insulated 5 or 6 Inch Twin Wall Flue will be required to flue the stove up and outside. What is the air gap required around the sides and back of this stove? Also does it require an air vent to be installed in the room? HETAS recommend 150mm either side of the stove, 50 - 100mm at the rear and 200mm above. Yes, any stove over 5 kW will require an air vent / air brick in the room. Does the stove have an air wash system? Yes, it is the secondary air control which is the spinner at the top. Hi, You say the Rocky is suitable for burning wood and smokeless fuels, can paper/cardboard be also burned ? Cheers, Steve. do you have to state whether you want flue entry from back or top. This does not have to be specified at time of order; it can be changed over when you receive the stove. Excellent value for this quality of stove. Great service,great little stove,woundnt hesitate about using this company again. Thankyou. Fantastic price and fantastic quality . Can't believe you can get something like this store this money when everyone else is wanting three times as much . Superb . Ordered arrived promptly and stove was very well packed. Warning it is heavy and you will need a friend to help you carry it. The quality is excellent and the price is gr8 value.! Purchased this little 6Kw sove from GR8 Fires. Unit arrived promptly and very well packaged in its own little crate. The stove is very heavy and seems very well made. The stove lights vey easily and gives out a lot of heat although the heat output is vey easy to control using the Two vents at the front. It comes complete with a comprehensive user manual a tool to assist in removing the ash pan and an insulated mitt to stop you getting burned when loading the fire. All in all a great value little stove that burns fuel efficiently, conforms to DEFRA regulations and looks stunning. Great stove at a good price. Very simple design that works well and I would buy again. Great fire easy to use gives loads of heat for a small fire.fast delivery and great price. All arrived very quickly and efficiently, fitted and works perfectly, slightly smaller grate than I expected but now it has "settled" in and been lite a few times it is just right. Delivery was very good took just 3 days to arrive and was kept in touch all the way. and generates plenty of heat. The secondary burning keeps the stove ticking over nicely without having to feed it every ten minutes. This stove has been perfect for us. It heats great ( I’ve only used wood so far) and stays hot for ages after loading logs. The whole customer experience with gr8 fires was seen less. Excellent and knowledgable staff. The stove itself has been everything we wanted and it was one of the cheapest we found! Delivery was great..Fire is fabulous..quality and price 5 star. Excellent value for money, I cant seem to understand why its so cheap. Warms up pretty quickly and air flow controls work really well. Every one that has seen the stove thinks it cost upwards of £700. The rocky is a great fire,well worth the money. great little stove looks good and gives off a good heat easy to regulate just what is needed for these cold dark winters. Purchased this to heat my reasonably large workshop and to use the vast number of timber off-cuts that I make pursuing my woodworking hobby. A bit early to tell so far but have lit once and all seems well. It's okay but need to get used to putting fuel on it. Fantastic little fire that gives off an amazing amount of heat! It’s good having the two control facilities and the defra smoke exempt category. A slight delivery hiccup that gr8 sorted straight away - it was not their fault (flue damaged in transit). Read the great reviews which sold it to me and can honestly say after owning a few other well named brands this beats them hands down,I also bought the flue liner again excellent quality! The delivery was spot on and the driver was more than helpful so a big thumb's up all round from us. it was exactly what we needed, heats the house beautifully, heats the front room in minutes, good quality, would use seller again. You advertise this stove as your best seller and I can understand why. I purchased this as a replacement for a similar but larger stove that had seen "better days". The new stove is much more efficient regarding heat output and to date uses less fuel. Due to our extended winter this year, I have been able to give it a good test. Delivery of this wood burner was as stated within the five days, which was great. Also, the delivery men helped my husband put it into the garage, as I had broke my leg the week before. Price was excellent. Haven't opened it up yet, as we had to put installation back because of the broken leg. Will let you know about the quality when we unpack it. at the moment it's still in the garage. So far though, it has achieved 5 stars, so I am extremely pleased. Looking forward to installing it and using it. The whole service was brilliant. If you get any orders from people in York in the near future it may well be because I've recommended you to my friends/colleagues. Easy to install and a well made good looking stove. The whole family love it. We havnt used our central heating since it was installed. During the installation I had a couple of questions which were answered immediately and politely on the phone. One thing I would change is the installation manual it referes to diagrams not provided. Great value for money stove - efficient and good looking. Has greatly improved the feel of whole house. Having read reviews prior to purchasing this wood burner, I can honestly say that, what previously customers had stated is completely true. The fire is excellent as was the service the sales team. Excellent quality for the price. Delivered on time with plenty of communication. Very happy with my purchase. the job well . Can't give a long term opinion so how it performs is unknown. I would like to say what an amazing service I received when buying this product. Although a minor issue occurred with the door casing Gr8 fires acted immediately and resolved the issue within 2-3 days. Very professional company who I hope to be dealing with again in the foreseeable future. Great price, great service, and great stove!! Has transformed a dark basement room in to a warm, cosy haven. The fire is ok. Can tell it's cheap with the vent controls. Only lit a couple of times. Bottom grills a bit too wide for creating bed of ash. Suppose you get what you pay for. Have had no issues with it but had to adjust the door latch after a few burns as become loose due to heat easy spanner adjust. My only design issue would be the ash tray does not cover the whole grid so after cool down when you remove ash you have to scoop up ashes from sides as they are missed by the tray. Fantastic product no regrets and do recommend this excellent product very well made and dropped one star on quality just because of the ash collector. love my little fire. great quality. not had the chance to comment about the heat output yet. my fitter was so surprised at the price and quality. Pleased with what I have received, stove is solid and quite a heavy item for it ssize and nicely put together. Very well packed in a shipping crate. We are delighted with the service that we have received, prompt delivery of our Stove and in the Stove itself. The stove makes our livingroom warm and cosy and is a lovely feature. Good looking, compact, wood burning stove. Easy to install. Have only used it once(due to warmer weather) but gave off a lot of heat. Came well packaged. Super little stove, as a HETAS approved installer I've been recommending this stove to most of my customers. It's value for money is incredible. Simple design, simple service parts and practical. By getting an additional 10% off through my discount club it's a no brainier! I was slightly dubious as to the quality and heat generated from such a small stove, but gave it a go based upon the reviews. I should not have worried -the quality is very good indeed and it delivers a furnace like heat! It has been installed in a garage/workshop measuring 20' x 24'. It lights very quickly and is easy to control using the two vents on the stove. within 20 minutes the stove is too hot to touch and throws the heat out and keeps the workshop toasty warm and puts out a lot of heat considering its size. The key to getting heat out of these is to use good dry kindling and properly seasoned logs -if you do that then this thing will keep you warm. Gr8fires were easy to deal with, delivered when they said they would, but to be aware that the courier will drop it outside your house and not carry it inside. This thing is heavy, so ensure you have some extra hands on the day it is being deliverd. Very happy indeed and have since ordered a second stove (Carron 7KW) for the house from them. Very happy with this fire . Perfect , Up and running. A great small stove give of a lot of heat. Faultless service. For the money this fire is very good value for money for a defra rated stove. Not a massive fire but our room is 24ft by 12ft and heat wise it is more than adequate. The service and delivery we received from Gr8 fires was excellent, all questions we had were answered no problem, very friendly helpful people would not hesitate in recommending them to others. Had item fitted just under a week ago so far i would say it was OK but not as great as everyone makes out i was told that with 6kw it will generate plenty heat but to me it is not so hot maybe need to try different wood Gr8 fires were very good as i needed to change delivery address at last min but they were able to do it. if you are having this delivered make sure you have a few people to help as it is VERY HEAVY took 3 of us and they will not help you bring into your house. Cosy, neat, does all it claims and more!! Over the moon with this little wood burner. It is everything it said it would be and more ! So easy to light and control and it throws out much more heat than I thought it would. So much so that we have turned off our central heating as it seems to spread through the house. We love it! Like others have said, we wish we had bought one sooner! Excellent all round. Thank you very much. Absolutely excellent, superb value and very stylish. Such a handsome little chap. 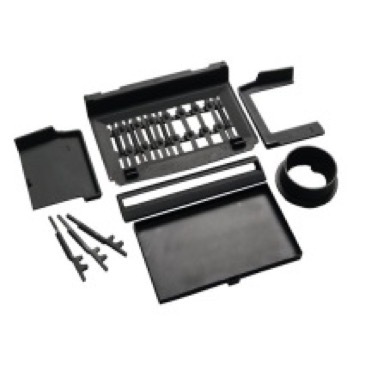 Excellent purchase fast delivery lovely drivers helped to the garage (I was worried about getting it inside as I live alone) Very easy to install. During first fire there were a lot of fumes from the cast drying out At least I know the smoke alarms work but the smell went after the second fire and soon cleared with the windows open. It will be trial and error as to what fuel to burn without smoking up the glass and using the vents to help keep the door clear, But well worth the money and I do not have to use central heating the warm air went upstairs so should save on the gas bills. Did a lot of research prior to buying this stove. Rang Gr8 for advice and they were very helpful. It was delivered , on time, to my work address as agreed. Stove is fine, just what I wanted and was 40 odd pounds cheaper than exactly the same model in Machine Mart. Excellent company to deal with, can't fault them. Very pleased with this stove. It looks great, kicks out bags of heat and at a VERY affordable price. I wouldn't hesitate to recommend GR8 Fires and this stove. The service was extremely good and delivery was very fast. Very impressed. Lovely little burner, surprised at the quality for the price. Efficient delivery too. Good woodburner, third I've had (two of this type) and can't fault this one. Not as heavy as some at the same kW rating most seem over priced. Extra weight just keeps the heat in longer overnight - not really needed. Gets my 25ft x 12 room (inc conservatory very warm). Easy to install, good Comms from seller and driver helped carry into the house. Great value, thankyou. Delivery was quick, The log burner looks great in our stone fireplace. Waiting to have it installed so can't say if it burns well. Really pleased with our purchase. We are delighted with this fire, perfect size and easy to use. GR8 fires were fast to deliver, excellent customer service, great prices. Will buy more from this company. A great find. No more down draughts , no more burnt rugs,lots of heat,wish we had the stove fitted years ago ,gr8 company to deal with and all delivered free to northwest Scotland. Been passing the word on, 100% satisfied. Many thanks. Bought this stove to replace one which had been removed previously. Excellent buy, great looking Multi Fuel Stove which was delivered quickly and efficiently. Read the great reviews beforehand and can only reiterate what previous purchasers have said - great value for money, excellent wee stove which does what it says on the box - highly recommended product and supplier!! Great value for the money have not managed to arrange to get it put in, but will during summer months, must say the delivery was exceptional and came well packed too. great product great price very helpful . only downside delivery driver would not bring into house as is a two man lift and only one delivery man . Great service, great stove, it is so easy to light, just load with paper and wood, close top door and open bottom door, it is going in no time. This is an excellent stove. Fantastic fire, let's out lots of heat, looks good, excellent value for money. And free delivery to the Isle of Wight! Amazing! Very good solid fire at a reasonable price. It was easy to install and heats my room lovely. I was kept up to date with a delivery date and it was delivered on time. Highly recommended. Fire ,excellent, very happy with product & all round service. Not installed the fire yet so haven't tried it out but looks good. All as promised and delivery was much quicker than promised. Not quite as good as the one I took out but very good value for money. Very pleased with the service we received,from GR8Fires,we have now installed our stove and seems to be working ok.
Great delivery , well packaged , fantastic little burner . Heats the whole house nearly ,using a heat fan on top . Comes with the adapter for a 5" flue , easy to install . Was amazed how easy it is to control . And at full chat will have you melting !! . Leaves nearly no ash and after having an open fire before , was astonished how little fuel you need and how long it lasts ... Gr8 fire indeed !! Delivery was rapid. The price is fantastic. The only reason for the slightly low review of quality is, who expects 5 stars for ONLY £200!? Would (and have) recommend both this stove and GR8Fires.co.uk to all with a budget and a need for cheap, sustainable heat. Very happy with the product and the speedy service. Thank you !!! Prompt delivery and helpful Customer Desk staff; A neat, sturdy stove with excellent documentation and Health&Safety notes. Perfect for the "man-cave" it is being installed in shortly - fits nicely in the existing fire-place and is small enough to use a standard fireguard in front to avoid injury to pets/kids. Congratulations to all concerned. it cost more to have the stove installed than it did to buy it! Very quick response when opening or closing secondary air vent. The Wood Burning Stove is exactly as described. It is well built and very strong. Delivery was spot on . Everything was extremely good. Would highly recommend. Although I have not yet installed the stove, as we are altering the fireplace and doing other renovations, I am delighted with the easy ordering experience, the e-mailed & on-line advice about wood burning stoves, the prompt delivery & helpful delivery man, and the appearance and quality of the stove. Thank you! great little fire, well pleased. The new stove certainly looks good and has met with my husband's critical approval. It's not yet been installed but feel sure it will be the perfect replacement for the antique stove it has replaced. Stove arrived safely. The packaging was excellent and provided plenty of fuel for the first lighting! Very pleased with the performance and enjoying the additional cosiness. Not fitted yet. Tell You latter. The fire is not fitted yet as i was taking advantage of their very well price winter sale. The fire came very quickly & was very well packed/protected & on a good strong pallet. Cant wait to fit it. Really pleased with the Rocky stove. We installed it into our existing Victorian cast iron fireplace and it looks great. The width and height of the stove means it sits neatly just in front of where the open fire grate was and so there was no need to remove the fireplace. Ordered by phone and delivery was within 5 days as promised. The Rocky is easy to light and gives out a good heat. Plus we no longer have draughts from the open chimney when not in use! and once you have set the kindling correctly it just gets better and better . Very pleased with the fire and the prompt delivery. Not fitted it as yet but hope to do it soon. Very good value. Just one thing is i never got a phone call to say when the delivery was going to come, a good job the driver waited 15 mins for me. Big thank you to him for that. The price, the quality and the delivery, BRILLIANT . Highly recommended. A good cheap little stove. The build quality is satisfactory, but not as rugged as other more expensive makes and models. The controls work very well on my model and give excellent control of the air flow. As a result, I am able to keep the glass clear and regulate the rate of burning. Heat output is good, if not exceptional on my model. Delivery was excellent, but my 4 stars for price reflects the build quality. I feel a price point of £200 would be more reflective of the size, output and build. very pleased with the whole deal. Good delivery, excellent value for money. Didn't get an email regarding delivery so there was no one in on the first attempt, luckily the delivery driver was able to make contact and arranged a 2nd delivery the next day. For the price the stove is good value, a bit basic in design but it works. The brass handles were tarnished on their stems from corrosion on the threaded spines which was a bit disappointing. Gr8fires reply: The handles are polished untreated brass and will need polishing to keep them shining like all polished brassware does. Ordered stove on the Friday of the bank holiday weekend and it arrived on Wednesday morning, stove looks of good build quality and going by the reviews should be a cracker, the only thing i would say to be a true multi-fuel stove is that i would of thought that the grate should be able to be removed. Other than that can't wait to get it fitted. Gr8 Fires reply: Thanks for the review and we hope you have many gr8 years of service from your new Rocky. As with all our multifuel stoves they are designed to be burnt with the grate in place, regardless of fuel being used. When burning wood use mainly the top air control, when burning coal use mainly the lower air control. GREAT LOG BURNER EXCELLENT SERVICE GREAT VALUE. HIGHLY RECOMMEND THIS COMPANY. When I first saw the price of this stove I was very dubious about getting one.The over riding decision to buy one was by reading reviews from other customers. I was not disappointed.The quality is every bit as good as very more expensive stoves I have seen in specialist shops. The heat output with good dry wood is excellent. I would have no hesitation in recommending this stove. The service from GR8 fires was seemless from ordering through to delivery. Certainly a company to recommend. With Regards the product - I couldn't be more happier with My Rocky stove. It pumps out heat efficiently and looks the part. Don't be fooled by people sayng that you only get what you pay for, this was a budget priced stove that completely out performs it's price tag. Smokeless fuel or logs the heat pumps out att day and night. With the addition of a stove fan i leave my heating off, my doors open and the stove heats the whole house. If you are dithering about buying this stove - don't it's a cracker. We are very pleased with our new Rocky multi fuel stove. Excellent value for money, gives off as much heat as our old one which was twice the size. still getting used to it. Delivered to us in good condition, well packed in three working days from date of order. Bought the mazona rocky stove in August this year. Fantastic little burner, easy to fit, looks great in living room. Just one problem, the glass has broken tonight, and can't get online to view the 'spares dept', (telephone number keeps popping up), but can read all the reviews! 20.11.2013.
was a little disappointed when I took the fire out of the package. it looked a lot smaller than I expected. but since having it fitted, it looks lovely. would definately recommend. well worth the money. Really pleased with fire and delivery. Haven't lit it yet so cannot comment on efficiency but agree with other reviews that it looks much more expensive than the cost, if that makes sense. Really good looking and sturdy. the stove is exactly what it says on the tin. very happy with it but more impressed with the fast and easy return and replacement of the first stove that was damaged in transit. one short email and everything was quickly arranged fer me. Rocky is a geat little stove, it has been a life saver during the ongoing cold weather. Exellent value for money!! My Rocky 6kw Multi-Fuel Stove has just been fitted and I couldn't be happier, I love it. I purchased it from gr8fires.co.uk a couple of months ago but have only just had it fitted. I was very impressed with the product and the service I received from Gr8fires and would recommend them to anyone. I always dread the winters drawing in but not any more, in fact I'm quite looking forward to it. I will spend many happy hours sitting admiring and enjoying the warmth of my Stove. I also purchased one of the rocky stoves,what a find and what a purchase.i love it ,it is in my dining room as well and heats right through to the kitchen ,utility hallway and stairs ,it is so toasty and cosy looking.I can,t get enough of it .i wish I had been able to have one sooner,thinking of the freezing cold winters without it,I have also been thinking of purchasing another to have put in my living room ,people don,t know what they are missing and I would recommend gr8 fires to anyone for the price and the service .thankyou gr8 fires . We've recently purchased & fitted this stove in our dining room it not only heats this room up but also our kitchen ,downstairs loo & utility we wish we had done this years ago thinking of all the money we have wasted on central heating we are so impressed with the service from gr8 fires from ordering online , to the delivery driver & the e-mails received to make sure all was in order the service was out standing we have now decided before this next winter to fit another stove in the front room well done gr8 fires we look forward to our next purchase . Nice fire, vey hot once established. Good for heating the room does exactly what is required of it. Good of GR8 to deliver right on time. Delivery wood great for burning too!! Very satisfied. Now that our log burner has been commission, I can't tell you how please I am with it. Easy everything! Neat, hot and cosy. Even the cat an dog are jockying for the closest position! Must commend you also on the order process and 10 star delivery service. Ordered the Rocky stove on a Tuesday and it arrived the following Friday. The delivery man was very helpful managing to get the stove (in its crate) up some steps into the kitchen. The following Monday, installation started and after 2 days the stove was ready to start up. The stove is excellent, well made, easy to manage and very warm (our Jack Russell loves it!). I would certainly recommend Gr8fires. Thankyou so much you have restored my faith in internet shopping.The fire is fantastic and the price was amazing, thought it was a miss print when i first saw it. My fire arrived 3 days after i ordered it and the driver was very helpfull, thanks a million!!!!!!!!!!! Was surfing when I came across your site. No other firm matched your prices so I ordered. Service both on line & by 'phone has been excellent. Love "Rocky" & its looks. Thank you for a great service & a great price. Harry Horner. we would highly recommend the rocky multi- fuel stove, it completely heats our whole house. It was a real bargain and we are so pleased with it . It's one of the best purchases we have made. So far so good, I think it needs a little time to run in. And it would have been nice to have instructions to that end delivered with the Stove and I found it quite difficult to obtain the instructions. But having received them it still didn't tell me how best to clean the glass. However, now all appears to be well and I am very happy with the Rocky. I shall contact you again if you wish after it has passed its probationary period. I shall risk giving a rating of good so far. All ok withe delivery etc , but the heat rope around the glass case is dangling down the front of the fire and will not stay in place when put back into the groove . Don\'t know what to do now , will it be dangerous to use without the rope ? Awaiting fire to be fitted so cannot comment on that area yet but as to shipping and quickness of arrival top marks to both,item packaged well and intact and very heavy !! a good looking fuel burner so far. Our purchase was very well handled and arrived so quickly! Although it has only been installed for two days it feels like an old friend now and really make s difference to our home. A super investment - thank you for a fire at a bargain price. They stove was delivered within 3days of order, well packaged and the delivery man was very helpful to get the stove into the house. I easily got quotes from HETAS approved companies listed on the website and they installed the stove without any problems. The stove is simple to use and looks very good, amazing high quality and good value. As novices to woodburning stoves there has been a short learning curve on how to get the best output but our house is a lot warmer now and it is nice to watch the flames flickering on a cold winter's night. The rocky 6kw fire I ordered arrived within a couple of days, and the driver was pleasant and helpful .I have not yet had the fire installed as yet but was very impressed with the quality of the product for the price, I had looked around before making this purchase from gr8 but found nothing to match the value of this litlle fire,cant wait for it to be fired up especially as the weather has now turned cold!!! hi we were so pleased with our rocky 6kw multi fuel stove we brought another!. the first one heats a room 25 x 20 ft with bed room above same size . the second one heats my aunts sitting room excelent value five stars gr8!!!!!!!!!! Delivered quickly, well packaged. Driver very helpful. Just finnished installing it, looks great, not had a fire yet, can't wait. Fantastic company to do business with, very helpful staff on the telephone, also the same as most reviewers it was delivered withing 3 days from ordering. Great looking stove, will look great! The only thing that im finding very annoying is the fact that I cannot find an Installer! They tend do refuse on the grounds that they didnt supply the stove! Well excuse me for sourcing it myself rather than pay over two times what I paid! Can anybody please recommend someone to me in Lancaster/Morecambe area..In my oppinion it would be a very simple install, famous last words! All i can say is this. The service was excerlent delivery within 3 days (ordered sat am) arrived wed. product is excerlent and would recomend this company. Bought our Rocky a while ago but have just finished the installation. Delivery was within 3 days of order and the stove came well packed and protected. Now that it's installed it looks great and we are really pleased with it. Although we have only had small fires so far, the heat it gives out is incredible and we are looking forward to giving it a real test this winter. very pleased with the efficient service and quality of goods. Definately recommend GR8 to everyone. Glad I did business with this company. Superior service from ordering to receiving my stove in less time than stated. we were very pleased with our fire, and the website was easy to use, and the delivery was excellent. We have our Rocky stove for 2 months now and are very pleased with it. The delivery was accurate and since getting it installed it has not gone out. Find it easy to keep in overnight using briquettes from the coalman and keeps our living room lovely and warm. Will miss having it on once the nights are warmer but overall extremely pleased. Would definitely recommend GR8Fires. We are happy with the product, it looks really good, unfortunately we have not had it fitted yet so cannot give a review on its performance. the only complaint i have is with the delivery company who seem to have held on to the product for a week before delivering it to us, i would suggest that a more reliable firm would be beneficial. Gr8 Fires say: Sorry you had a problem with the delivery, we dispatch within 1 working day and delivery usually takes only a few days. We will forward your experience on to our pallet network. Apart from that we hope you enjoy your stove and get many years of joy and warmth from it. Thanks for taking the time to review. Was very pleased with the workmanship and size of the fire. Thank you. Very pleased with our fire, arrived very quickly, very easy to install, we lite it for the first time one cold evening , and the heat that came from this fire was lovely, would recommend to friends and family. Totally amazing,fitted back boiler to the stove and now have lashings of super hot water. The heat output coupled with the economy and the ease of use make this stove a winner. Could not be happier with my purchase. Very good service,the delivery was very quick .Also very happy with items ordered. Bought the rocky six,carnt praise it enough,it arrived on time had it two weeks & just installed it to day its a proper little jem,heats our big room up nicley.great customer service told any one & every one who would listen.Once a gain great service. Very Pleased with your service. From ordering to delivery was just a few days. Multi Burner is now installed and giving me a lovely warm house. Superb service with order tracking from placement to delivery which was flexible enough to suit even when there was no-one there to sign for the stove. Stove was exceptionally well packaged and arrived undamaged. Once installed it came into its own, this is a simple but hugely effective stove. it seems very adept at running at a slow burn for extended periods of time with overnight and through the day burning easily achievable, heat output is sufficient to keep my 2 bed cottage toasty on its own! The pictures on the site do not do the product justice either, very pleasing on the eye! Difficult to believe that this stove was less than £250!!! To summarise then, the Rocky stove is efficient, good looking and great value for money and Gr8 Fires are a friendly and efficient retailer to boot. Don\'t believe it when someone gives GR8 a bad review. I ordered a stove on Sunday, it was delivered at 8am on the Thursday. On the Friday I had a little concern about the stove, I emailed and got a very positive, no bullsh*t mail back the following morning putting my mind at ease. GR8 to do business with GR8. The stove is a little belter too. I will, and have, recommend GR8 and the Rocky stove over and over again. The Stove arrived within 1 hour of estimated time packing was excellent and driver very helpful. Stove is installed and working a treat. Highly recommended. By far the best price I'd seen for a stove this size, and the Rocky 6kw puts out a surprising amount of heat for such a small stove. Fast delivery, well packaged, a quality stove. I'm a very happy customer. The fire is a very economical burner and pushes out a great deal of heat. GR8fires did a wonderful job of packing and despatching the fire well within the timelines I required. Many thanks its so much better than an open fire. GR8fires provide a wide range of top quality products which having searched on line are far below that of other sites visites without skipping on the quality. Many thanks for keeping the cold snap at bay. Excellent service from time of placing order to receiving burner. I had infact ordered the wrong flue and this was picked up by Gr8fires before dispatch. Finally got burner installed and working for xmas eve, really pleased with it, very easy to use and extremely effective. Would highly recommend both Gr8fires and the Rocky. Arrived impressively quickly, easy to install, instant heat which is easy to control. Highly recommended. Very good product at a very good price. no problem with delivery. The installer thinks he'll get one too and use gr8fires. A really lovely stove, and good value for money, however no specific instructions for the stove I bought, only a set of generic details on how to operate any of the stoves they sell. Shame! very pleased with the quality and price of the Rocky we ordered from GR8.Very prompt and efficient service . recieved fire four days after order,very fast,had it installed last week and lit it first time friday night cant believe the heat it puts out .the rocky multi fuel stove looks great and heats most of the house. I purchased the Rocky 6Kw Multi fuel stove. Right what can I say! It came well packed and in great condition. The stove is of good quality and it has been installed. It gives out more heat than I realy need for the whole downstairs, but it is so easy to control with the air vents that I just keep it ticking over to keep it all nice and cosy. I have had a few family and friends round to have a look, and I think I have a coulple more to fit now after Christmas...And yes I will be getting them from Gr8fires.co.uk, as their prices and service is second to none...Oh and yes these roasted chesnuts that have just cracked open on top of the stove are awsome....Thank you Gr8fires, You have made our Christmas special. We ordered the stove on the 4th Dec and it arrived Wednesday morning (7th). Super service. The stove itself looks great and it's obvious it is a quality product. What struck me was the relatively high 6kW output rating for such a small stove. This is comparable to some larger stoves. It is not yet fitted, as I still have to lay the hearth, but that will be done very soon. The Rocky will fit our small fireplace perfectly. I know from other reviews that our house will be toasty warm for Christmas and the winter months. I can't wait to see it lit. Thank you gr8 Fires. my stove is the best thing in the world and I love it. We are now so cosy. It is working beautifully. It was delivered very quickly and I could not of asked for better service. Absolutely delighted with our stove. First one I have ever fitted so I didnt have a clue. With the info from gr8 and with so little to do to put it together from taking delivery to lighting our first fire it took less then an hour. We have already recomended gr8 to a couple of our friends. A big thank you to all concerned at gr8. I have purchased the Rocky Wood burner as a present for my hubby, He received it today and is delighted with it. I would defiantly recommend you to my friends. this arrived on time at the exact time they quoted. We recently purchased the Rocky 6KW multi-fuel Stove following the advice of an 'expert' - which was that 5KW would be 'more than adequate' to heat the designated area -the Hallway of our cottage! The product arrived within a few days, was very well packed and protected and in pristine condition! I have no complaints whatsoever about the product or the service! However, it is extremely 'small', will hold only a few logs and hardly heats the area at all! Clearly the 'expert advice' was utterly useless! We are using the Stove, but getting very little satisfaction from it! We would gladly trade it for a larger Stove - but cannot see how this could be managed! Clearly -you would not want a Stove returned or 'traded-in'! Our only recourse is EBAY!! Generally, we are extremely pleased with our "Rocky 6kW". It is simply and honestly constructed and more than fit-for-purpose. Balancing primary versus secondary air is very effective, so easy to control. The insulated glove supplied is vital! When burning dry wood, no smoke can be seen from the chimney outside – suggesting efficient combustion and giving lots o' lovely heat in this sudden onset of winter. The driver arrived bright and early. Because he didn't phone ahead, as expected, I was still in bed! The stove was very well-packed & on its own pallet. Assembly was straight forward although one of the foot-securing M8 nuts was defective so I had to supply another. For speed of installation over this winter, I exchanged the smoke-exit from back to top - so the kettle sits on the front corner but it still boils! The three-hole sets in the smoke blank plate, the smoke collar and the cast iron lugs were clearly not jig-drilled so alignment was very hit-and-miss. I have considerable experience with various stoves and as they go “Rocky” is pretty well-behaved. My only criticism would be regarding the brass door knobs. They look good on the “static” stove but when hot they are potentially lethal – being thin, quite sharp & hot and a bit fiddly with the thick glove. As “operator” I would have preferred knobs which are less decorative, insulated or, at least, ventilated and easier to grasp with the glove. Brilliant little stove! its amazing how much heat it produces! have not had the heating on for 3 days now! remember to get your stove pipe though! Have found that it is best to get going with coal first, once well lit and red, then add some wood and it will keep going all evening! lovely, just in time for xmas! Bought this to replace a much smaller one. Very pleased with it so far, though not yet mastered how to keep the fire in overnight. It could do with the front of the grate being a little higher as the odd piece of coal falls forward and there isn't much to stop it falling out when you open the door.Overall it is a very good stove for the money. Finally you can't fault the service from GR8 Fires, delivery was within 48 hours., Excellent. Smooth transaction from start to finish, ordered, paid, emailed to confirm, day of delivery (3 days later) phone call to say waiting outside house, waited for us to get back to receive delivery. Was very easy to place the order and delivery was faster than a fast thing on a fast day! very pleased with our purchase. perchased the rocky multi fuel burner grate fire lovley and warm delivery was superb and great value for money. fantastic service . the fire is an excellent price & of a high standard. the company always answered e-mails which is a huge + !! would definatley recomend them 2 friends etc & hope 2 do buisness with them again in the future - HAPPY SHOPPING !! Excellent value for money and service from GR8fires, the finish is equal to a stove I've previously bought that cost £900. Stove purchased for a small holiday home in Brittany and provides excellent heat output. Fantastic value for money. Had our 1st fire yesterday and it looked great and kept warm for hours even though it was just a little one. Apart from my fire being delivered to another customer and there fire delivered to me. I am very very happy with the product it fits perfect for where I needed it. Thank you very much. I would not hesitate in ordering again from you and will recommend you to my friends. I have just recently purchased this fire and all was good the delivery was swift excellent value for money and arrived in perfect condition. I would not hesitate to reccomend it to our friends as he heat off it is fantastic for such a small fire. I bought this beautiful little stove last Easter and was desparate for the cold weather. Fortunately thats what we got in one of the coldest winters for years. My family and I did not feel cold in our home once. This is a very good little fire and have recommended it to lots of my friends. Like anything that is new to you, you need to practice, and that I did. We used to fuel it all the time but soon learnt that you did not need to do this (it is not like an open fire), therefore we saved a lot of wood. It did smell for the first few times of being on, but this apparantly was just the paint curing. We also bought the flue liner kit with this fire. Wouldn't do without our fire as it has transformed our home. Thankyou, It has also made a big differance to our fuel bills, would recommend this to everyone! My Rockly 6 kw was delivered sometime ago, it is at present still in its box. I was due to have it installed on the 24th October 2011 but sad to say the date has been put back until 29th October. I am really looking forward to having it installed so that I can start to use it, as you have probably realized I cannot comment as yet on how well it works but having read the other reviews I now can't wait for the 29th to arrive so looking forward to using it this winter. stove purchased, i found excellent value 4 money. A nice looking little stove.,and very efficient ,delivery,very quick.Good product. I recently purchased this lovely stove. I was very impressed with the service i received. The stove arrived super quick, was packaged well, and all at a great price. Would definately recommend gr8fires to anyone without hesitation. Well, I ordered this stove and flue kit for my brother in law who is very keen on bargains! He fitted it for his grandson and was so impressed he is looking to buy one for himself. Super product, super service and super value for money. I very pleased with my rocky stove it looks good and works well.the manual says to remove the grate for burning wood I dont think this is possible without dismantaling the stove. It burns for hours and gives off a great deal off heat. I purchased a Rocky 6.5kW Multi-fuel Stove, great bargin and the service was GR8! The product is excellent just what we wanted thank you very much, we are just waiting for it to be fitted. Must give you an update on the stove after a year\'s use. This is the best thing we\'ve got for the house in a long time, a tremendous success. We now know how to get the best out of it and it regularly runs 24hrs per day, hasn\'t been out for weeks actually. Even through this last spell of snowy weather, we have no central heating on in the house during the day or when we go to bed but the little Rocky ticks over and readily bursts into life in the morning. Having the bottom door is really handy for cleaning out when it\'s running and it gives it a great blast of air to get it blazing. Otherwise the top and bottom vents allow you to fine tune how fierce you want it to burn. The only criticism is the brass hinge rods are a couple of threads short and need regular tightening as they unscrew the end nuts over time when you open & close the door. Otherwise we are delighted with our little Rocky & can thoroughly recommend it. This is a great little stove and at the price tremendous value as I have friends with Stovax and Clearview stoves costing many times more and my little Rocky seems to do just as good a job. I have yet to get it to stay on overnight but I am understanding how to get the best out of it every day. Initially I was disappointed how much the glass sooted up but this was during the running in period and it now burns clear when up to optimum operating temperature. I bought one of these little fires last October. All through the winter it has been a fantastic little fire. When I unpacked it, I actually didn't believe that this small stove would generate so much heat, I was wrong! The questions I put to GR8 Fires were answered pretty quickly too. All in all, I'm well chuffed! The product itself works well, it produces a lot of heat and burns efficiently. I like the fact that it has a separate ask pan door because that allows for good draw. Also the adjust-ability of the fire is good. The only troubles are that the grate doesn't retain the ash so it is hard to keep the fire in over night because you can't achieve a thick ash base which retains heat. The only other shortfall is the spinner screws. It was just a normal screw that the spinner worked on. We amended ours by cutting the end of the screw off and fitting a brass acorn nut to make it look more aesthetically pleasing. Overall though the functionality of fire is very good! We bought one of these stoves last September. All through the very harsh winter my family were kept warm, even though my neighbours were going to bed early to get away from the cold. The cost of the fire has been off set by the very low fuel bills over the winter period. It has been the best buy we have ever made. It is beautiful and I love it! It's fitted and working just fine. However, hold up with fitting the stove as it required a heat board for the chimney. Arrived on time, damage free. Good looking product and easy to assemble (feet). Excellent heat output for the size. Every pleased with the product and would recommend this burner to anyone with no hesitation. Recieved woodburner as described and on time(ordered Sunday arrived Wednesday morning) we are busy readying area to fit it, it looks good and well made and all being well will have it up and running shortly - reading other reviews we are sure we will be pleased with the end result . Would use company again . It seems good value, a little smaller than we expected, but we are sure it will do the job. Not able to fit at the moment, so cannot really say more. Also cannot more about quality etc, but everything went well with the order and delivery, although we had to request instructions, which were sent immediately. we`ve had our rocky fire for 2 years now which we purchases from gr8 fires. magic little fire.. the heat that the fire generates is amazing which meant we had to put our radiators down as heat was unreal... we have also saved money on our gas bills.. have recommended the rocky and gr8 fires to a few people now.. totally love my rocky fire. The Stove arrived on time and is currently being fitted. From other reviews it sounds like we will be happy with the end result. Very happy with my purchase, now fitted and pumping out heat, made a great difference to my lounge. Getting logs into this fire is a struggle ash pan is tiny it's a pain as it makes it a dirty fire wish it had a bigger base for the logs. Gr8 Fires reply. A larger grate will usually result in a higher heat output. we've had this brilliant little stove in for two days now, don't be fooled by it's size it heats the three rooms down stairs and we are having to leave the door open so the heat can rise upstairs! the only thing to be aware of is we had no notice about the delivery. the very kind van driver phoned me five minutes before he arrived and helped me to unload it inside as we didn't have time to arrange any help.very pleased with this purchase. just had it fitted 2 days ago what a fantastic stove bring on the cold weather, thanks g8 fires the service n delivery were spot on....I is happy!!!!!!!!!! Very pleased with our stove ! The only down side is a little chip in the paint on one side but you cannot see it from the front. A great fire which lives up to its name. Excellent value for money. A little sceptical at the size of this burner. First few days were a bit of a nightmare as fire kept going out or filling front room with smoke. Pleased to say we have now cracked it. It was that warm tonight I was sat in my underwear!!! Cannot rate this enough its brilliant. If you want a small tidy burner then this is it. Buy it and you will not be disappointed. Recently bought the Rocky lovely little burner, but it keeps going out. Doesn't matter what size log goes on it seems to be going out. Any ideas. Lighting with firelighters little bit of kindle, and not massive logs on it, all dried, and silver birch to boot. Provided the stove is installed correctly then the flue should draw properly once it is up to temperature. Sometimes if your flue is damp through lack of use it can take a bit of heat to dry it out. Light a good size fire in the stove and keep it burning vigourously.